The Avg. Group Saves 5.9%! WHIRLIGIGS, BASEBALL MUSEUM, BOTANICAL GARDEN, SCIENCE MUSEUM, AND GOLF. The staff were very inviting we really felt at home. Thank you for the experience. 17-Apr-2019 Verified Review, stayed from Fri Apr 12 to Sun Apr 14 2019 at a $96.72 average nightly rate. The service was wonderful and the staff was outstanding. We plan on visiting again. Thank you all for a wonderful experience. 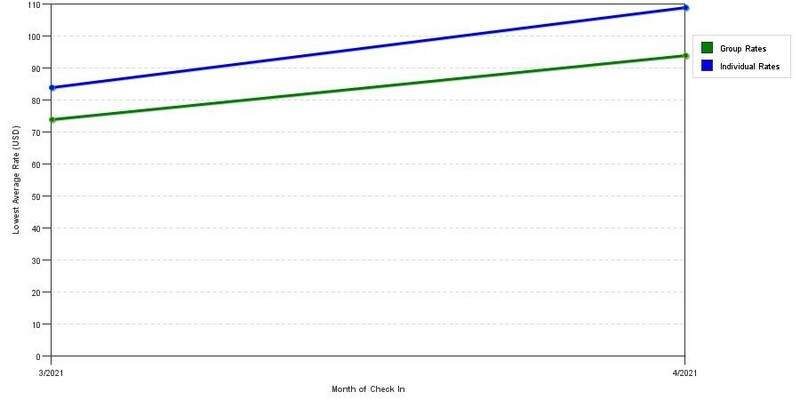 15-Apr-2019 Verified Review, stayed from Fri Apr 12 to Sun Apr 14 2019 at a $96.72 average nightly rate. Get more for your money at the pet-friendly Quality Inn & Suites hotel in Wilson, NC, situated at the intersection of Interstate 95 and Highway 264. Attractions nearby include Imagination Station, Tobacco Farm Life Museum, Country Doctor Museum, Wilson Botanical Gardens, Barton College and Lake Wilson. Get more value with amenities like free breakfast, free WiFi, free coffee, a fitness center, meeting space and a seasonal outdoor pool. Guest rooms include refrigerators, microwaves, desks, TVs, coffee makers, hair dryers, irons and ironing boards. Select rooms have even more amenities, such as a hot tubs. Also, earn rewards including free nights and gift cards with our Choice Privileges Rewards program. Pet Accommodation: 20.00 USD per pet per stay, non-refundable. Pet limit: Two pets per room up to 50lbs. Must stay in pet friendly rooms only. Our hotel requires a major credit card to check-in. Name on card must match name on reservation. We do not allow locals residents within a 20 mile radius of hotel. Pool Info: Outdoor pool seasonal. CANCEL 24 HRS PRIOR TO RESERVATION, AND GROUPS ARE TO CANCEL 48 HRS PRIOR TO RESERVATIONS. pets allowed with limited number of rooms and there is a $20.00 per pet fee per stay non refundable. DURHAM, NC 2 HR DRIVE. Free continantal breakfast Sausage, eggs, hot waffles, pastries, bagels, breads, juices, cereal. The chart above shows trends of prices for both our group rates and the best individual traveler prices we could find at the time the group/meeting offer was placed. The best group/meeting rate displayed is 21.5% in the month of May 2017 and the highest average individual rate is $110 in the month of May 2017. This chart will show past seasonality and also project future months. If you are flexible with dates, you may want to consider staying at Quality Inn & Suites in a month when rates are lower.